First off, the issue of two at once. At this point, I had been at Apogee for just under a year – my original start date was in the middle of December in 1992. My job at that point was a mix of answering phones, and dealing with releasing our software to various BBS’s around the country. Most of this activity centered around Software Creations, but I uploaded to other places, too. ExecPC being another. To be honest, I can’t remember any others 20 years out, but I’d upload to several of them around the country. My thinking was (in the pre Internet phase) to get wider distribution faster. Because of this, I had some input into issues relating to the release of the software. As these two titles were nearing completion, I know there was some discussion as to which one would be done first. Would one be delayed a month or two to allow the other one to breathe? What would that mean to the held back game, that kind of stuff. Now I don’t claim to take complete credit here, but I do recall putting forth the idea of releasing them both at the same time. Partially because it was a new idea, and I liked being at a company doing new things. Secondly, I felt that the games were different enough (Duke hadn’t yet morphed into the 3D world) they wouldn’t really trample on each other’s turf – that happened a week later when Doom was released. So they both were released on the same day – something I don’t believe any other game company had done to that point, and without researching the entire history of videogames (and not counting game console launches), I don’t believe has been done since. Two totally unique titles released by the same company at the same time. A few thoughts about them. Blake Stone was a 3D shooter produced in the reactionary time to Wolfenstein 3D. If you are a gamer that didn’t live through the time that Wolfenstein 3D was released in May 1992, then you probably wouldn’t get it. Wolf was huge. Wolfenstein 3D was to gaming then what I guess what “Dark Knight” was to comic book movies when it was new. A new angle, something fresh, and “holy crap” to the kind of fodder that was out at the time. 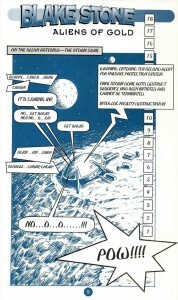 Wolf was the reason I got into the gaming industry (I write about that elsewhere on this blog). But the question was, what would the game companies do? 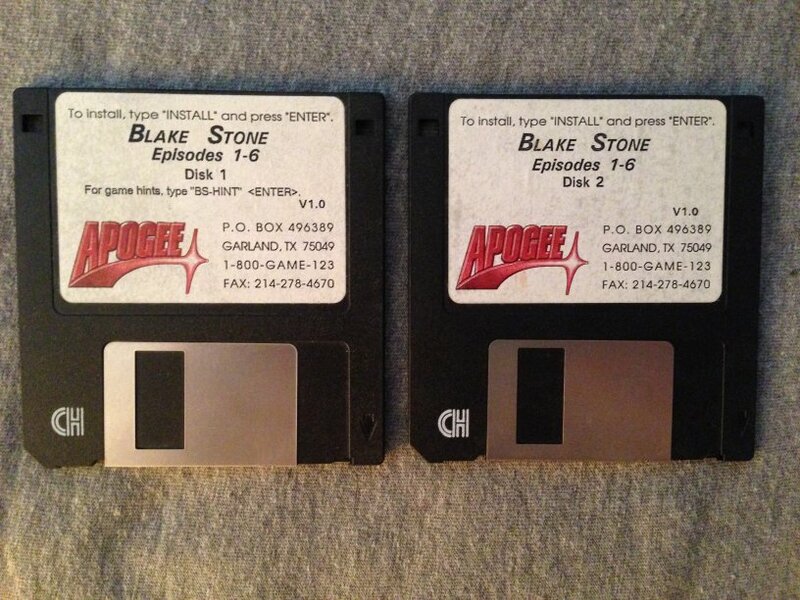 Apogee’s followup was Blake Stone. Blake was a game created by Mike Maynard, Jim Row, & Jerry Jones (no, not the Cowboys owner) under the name “Jam Productions”. When I asked the guys about hooking up Apogee originally, Jim Row had this to say..
Mike and Jim both looked back fondly on their game, as well they should. Not just for this reason, but the game had a few bits in there that were firsts. Check these out. Blake Stone was the first Wolfenstein engine game to have ceiling textures. That may not seem like a big deal in 2013, but in 1993, this was huge. Back then, 3D games didn’t have ceilings and floors, they were all solid colours. 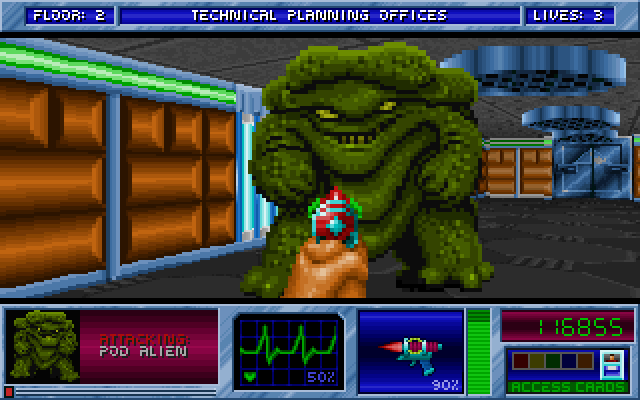 Blake Stone was the first game of this type to have additional textures in its 3D presentation besides just “the walls”. This was a feature added in one of the point releases by then Apogee programmer Mark Dochtermann. Mark reminded me that it was just the ceiling textures added and not the floor as well, because in his words, “we only did ceilings due to performance and the fact that the sprites were not designed to pop out on the floor”. 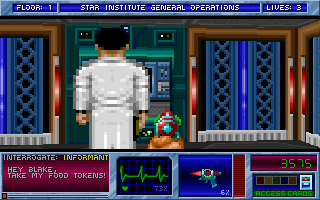 Blake Stone was the first 3D Shooter game to have NPC’s in the game. By NPC I mean “Non Player Character”. This is a character in your interactive world that you could well, “Interact” with, and wasn’t just cannon fodder. In Blake Stone, the NPCs (here called Informants) looked like the standard cannon fodder, but if you went up to them and talked to them, they would “talk” back. Granted, these NPC’s weren’t terribly useful – they would almost always tell you random basic stuff like “Don’t let Goldfire catch you in here!”, but occasionally you would get something useful out of them. 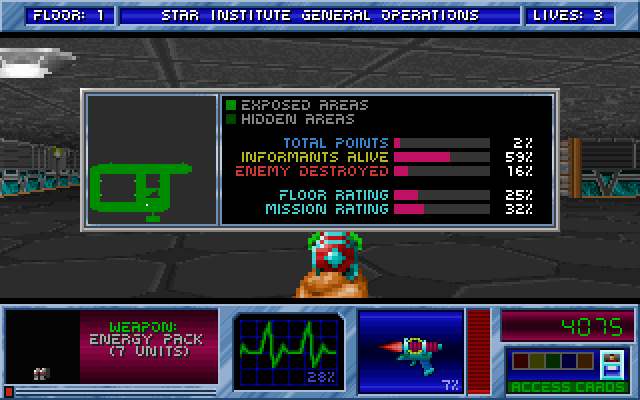 Useful or not, they were the first 3D shooter NPC – a concept that has been very much expanded on as the years went by. 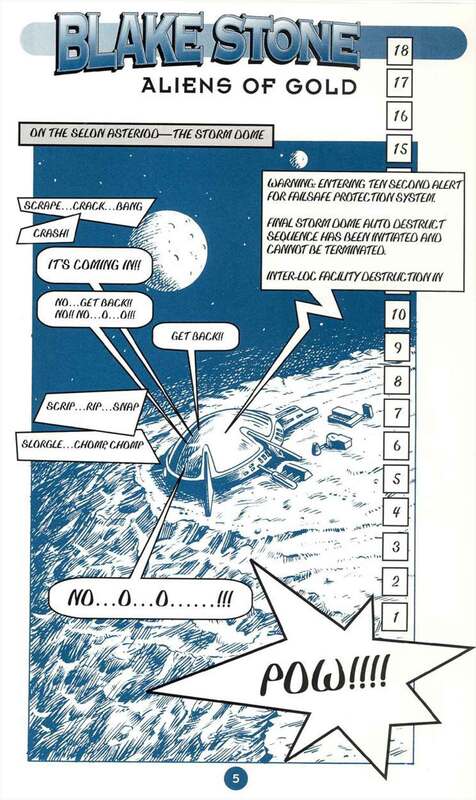 Blake Stone also had interesting map concepts. It had the usual key/door/key/door stuff that was “the way” things were done in this era. However, it had other concepts. There were switches and elevators to get around the levels of the game. However, also unlike other games at the time, sometimes flipping a switch on Floor 2 would open a door on Floor 5 or something like that. It was an attempt to make the not as linear as Wolfenstein 3D was. It did (for me) add an additional dimension to the map design – that you could tie different levels together like that. It involved backtracking, which some didn’t care for, but I did. Doom is a title that haunted the life of Blake Stone – at least my perception of it. It’s not like Blake Stone did poorly at all, but it probably could have done better if the technologically superior Doom wasn’t released just seven days later. If there was some more breathing space between the titles, folks might have remembered Blake better. I also remember trying to get an Easter Egg into the game, but failed. What I thought would have been cool was to have one the blue SS guards from Wolfenstein 3D hidden in here. 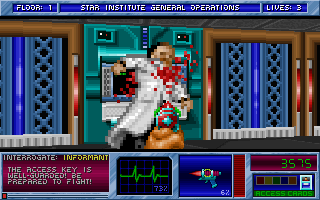 As you got further into the game, there were cryogenic chambers where enemies were hidden. I thought it would have been funny to have one of the blue SS guards come out, say his “Schustaffel” line. I got voted down on that one. As was the theme around this time, you’d have the shareware release, and the registered counterpart. As with Wolf3D & Spear of Destiny, there was a second product in this line, that one being “Blake Stone: Planet Strike”. Planet Strike was also notable in the Apogee product line, as it was the first fully retail boxed game the company produced. There were also some programming issues with Planet Strike, where we literally ran out of memory to have new character voices. So a lot of the enemy “voices” are just character voices from the first Blake Stone played backwards. It was the only way to get “new” sounds out of new enemies with no memory space left for addtl sounds. Blake Stone was a good 3D shooter game. Perhaps not as legendary as Doom was, but it was definitely a fun game, and something that I remember fondly. In fact, for this article I broke it out and played a bit of it. This isn’t Call of Duty: Ghosts, mind you. It did, however have an interesting effect on me many years later. When the Xbox 1 (the first Xbox, not the 2013 console) launched, it had the original Halo as a launch title. As with everyone else, I went to play it. If you remember the original Halo game, it started off indoors before the world expanded and you got outside and all that. The beginning part of Halo 1 reminded me an awful lot of Blake Stone. It was mostly 90 degree walls, and the colours on the walls were that same kind of pastel motif that featured in several Blake Stone wall textures. The first time I played Halo 1, I thought, “Hey – this looks like Blake Stone”, and ever since then, I can’t think of Halo without also thinking of Blake Stone. A bit of a goofy reason to connect the two, but there we are. I asked Jim & Mike about who came up with the name Blake Stone, and Mike replied with, “I forget who came up with that specific name. We ran through quite a few different ideas, trying to come up with something a secret agent might be called.” Jim also had this to say about the name of the character.. Speaking of names, Mike tells me that a working title for the game was “Secret Agent game” until they came up with the name Blake Stone. Blake Stone is MUCH catchier. Ha. Finally, if you want to read some more history, check out the Mike Maynard entry in the old “Apogee Legacy Interview” series on the 3D Realms site. Mike talks more about Blake Stone there. And in 2013, we still don’t know where all those medics were! That brings us to Duke Nukem II. Duke Nukem II was obviously the second game in the Duke Nukem series, and at this point, Duke had not yet expanded to the 3D world in the stellar Duke Nukem 3D, and certainly we hadn’t gotten into the total development hell that Forever was. At this point, Duke Nukem was still just a sidescroller character. A quite successful one, too. The original Duke Nukem game sold like gangbusters, and when you have such a successful thing, a sequel is in order. 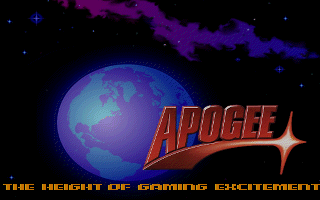 I came onboard to Apogee in Dec 1992, and this game was already underway during my time there. I was quite pleased to find out a sequel was being made, as I really enjoyed the original Duke Nukem game. So much so that I’m in the old customer records as having bought that (amongst other Apogee titles of the era). What I remember about the development here was not as earth shattering. Maps were made, tested, played, and massaged. The usual “stuff” that goes on during game development. One interesting memory is that when development started, the game was still called “Duke Nukum II”. 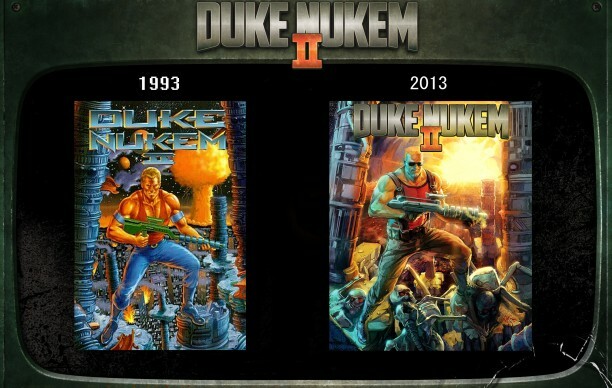 As you may recall, when the first Duke game was released, it was called “Duke Nukem”. 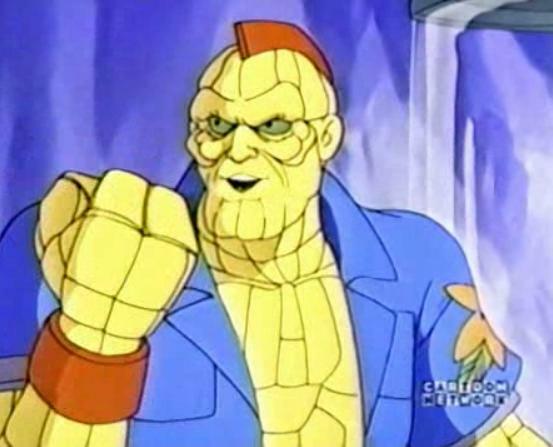 Inbetween the original release, and the v2.0 update of the original, we discovered the “Duke Nukem” character from the Capt Planet series of TV cartoons. At that time, we were concerned about the legal issue surrounding the similar name, and as such, renamed the original to “Duke Nukum”. The name stuck that way for awhile, and indeed the earliest Duke II betas bore that name. 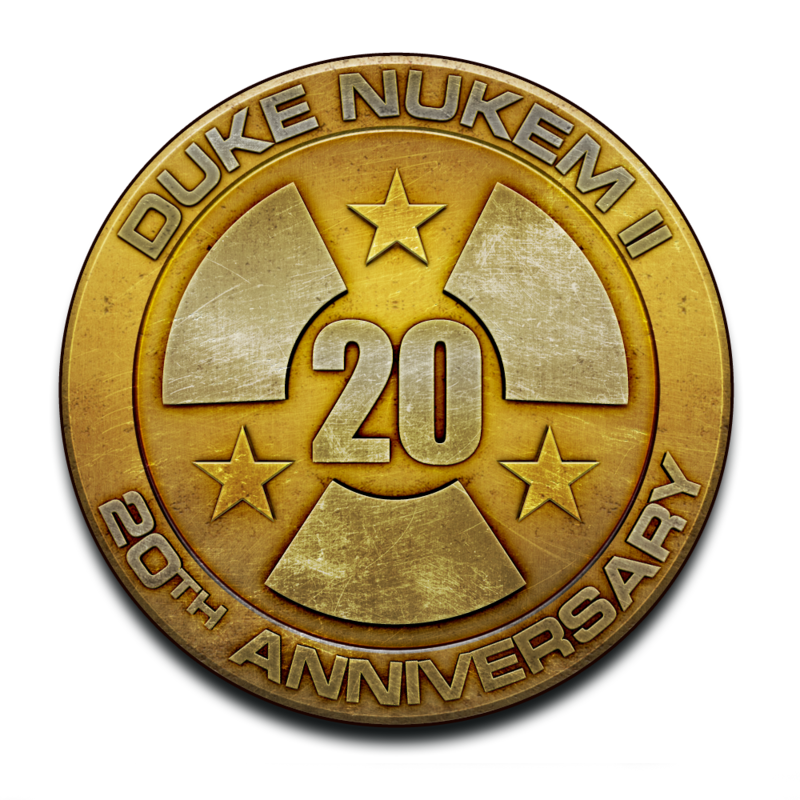 However, before Duke II was released, we found we were legally clear to use the “Nukem” name, and the second game was renamed back to the proper moniker, “Duke Nukem”. However, we never re-issued another update for the original Duke Nukem game, so it retains to this day in 2013 the “Nukum” spelling. What I remember more about the development was my own memories. As I was a fan of the original Duke, I was quite thrilled to be having even a small part in the sequel. I played Duke II in beta a lot, and while I don’t know if my input was particularly helpful, it must have been somewhat recognized, because Todd Replogle and I would talk about stuff. I don’t claim to be a producer or a designer or anything formal like that. But what I do remember is talking to Todd about various bits, and what I thought about them. From those conversations probably came Todd’s desire to ask me to participate in a much larger way. Towards the end of development when we were getting close to wrapping things up, we were working on the opening cinematic, and it was decided that Duke should speak. It was somewhere around here that Todd asked me if I’d like to record the voice for Duke. The inner Duke Nukem fan in me just geeked out, and I accepted, of course. Granted, it was just two words (“I’m Back”), but I still needed to know how to do it. My instruction from Todd was to make it sound like a cross between Arnold Schwarzenegger & the Simpsons character McBain. Looking back on the final product, it sounds more like me than it does either of those two. But the guys must have liked it, as it made it out into the final product, and I can lay claim to the title of being the original voice of Duke Nukem. Later on when we got to Duke Nukem 3D, and the voice was going to be a larger part of the character, brief consideration (I mean very brief) was given to having me do more, but in the end we went with Jon St. John. Rightfully so. I’m convinced that if they had gone with me as voice talent in Duke Nukem 3D, the game wouldn’t have been as successful. Pro voice talent was needed to make that work, and Jon was perfect for that. Still, I love this memory – I spoke about it a bit in the series of videos that Gearbox produced for Duke Nukem Forever in 2011. You can see that video here (start at 2:32 if it doesn’t link straight to that time). I’ve also included the entire intro sequence from Duke Nukem II, which includes my bit, as well as some of the personality stuff (like Duke being on the Oprah Winfrey show). In 2011, I finally got to meet Jon St. John face to face at the Gearbox Community Day/Launch party for Duke Nukem Forever. During that time, I got him to say my “I’m Back” line into my phone. I rather shabbily put it in the cinematic replacing my own line. Here’s Jon’s version if you care to see that. The game itself was really good – I enjoyed it. It had some things I really liked as a fan of Apogee. Bobby Prince’s music was here – including another of his “Hey, didn’t that sound like so and so song?” – was a Megadeth song as I recall. 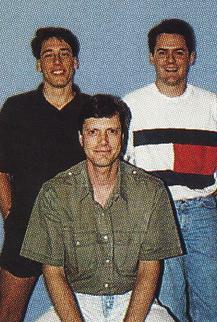 It also included Tom Hall, who had just come over to Apogee after having recently left id Software. I asked Tom what he did for Duke Nukem II, as I couldn’t honestly remember 20 years later, and he said “did item art, story, designed all bosses.” In addition to working with Bobby & Tom, I got to voice Duke Nukem, so yeah, I really enjoyed this project a lot both as an employee, and as a fan of the original Duke Nukem game. One of the things Tom did was this screen from the help menus, showing various Duke “items”. This was part of the earliest stages of the Duke “character” that we knew in Duke Nukem 3D. When 3D Realms moved towards 3D games and Duke3D, Shadow Warrior and the like, I thought this kind of game was done for. Then some years later, we tried the genre again with Duke Nukem: Manhattan Project, and while that was cool too, it didn’t sell a lot. So I figured the old sidescrolling Duke game was dead and gone. Fast forward to April 2013, and Interceptor Entertainment brought this old sucker back to life. Duke Nukem II was released on iOS, game intact – which included my original voice. That was quite funny to me personally – to hear my own voice coming out of my own iPhone. Thanks to Fred and the crew at Interceptor for making that happen. I always wished we had made a “Duke Nukem III” – and I don’t mean Duke3D, I meant a third sidescroller. Because my game industry life was founded on these kinds of sidescroller games. I know things come and go, but I always hoped maybe. True history buffs of my former company knew that there WAS another Duke sidescroller game under production for a time, with the name “Duke Nukem Forever”. I’m talking about a 2D sidescroller game. It was eventually abandoned, and the title transferred to the game that is more well known with that name. But still, I couldn’t let the 20th anniversary of these two titles pass without marking the occasion somehow. Thanks to Frederik Schreiber @ Interceptor, Mike Maynard (now of id) and Jim Row of Jam for sending me a few quotes to use. Thanks too to Mark Dochtermann & John Romero for putting up with me asking some questions from the old days. Most of all thanks to Scott & George for hiring me many a moon ago, and giving me a really fun ride. Thing is, this probably isn’t the last one of these I’ll write as a lot of games I enjoyed a lot from days gone by are going to be having their own 20th anniversaries before too long. December 2014 is the 20th anniversary of Rise of The Triad’s original release, too. Thanks for reading, and if you have any questions, please ask in the comments section. I’ll be glad to answer them. Kudos for the great write up Joe! Love it – this is great. I love reading about game history, especially the 90’s! Thank you for all of the years, all of the fun. I wouldn’t be who I am today if I hadn’t gotten my hands on that delicious Apogee shareware back in the day. 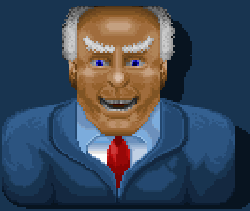 Joe, Duke 2 Is one of my favorite all time games. I really enjoyed reading this write up. I remember recording the music to a cassette back in the late 90s and even making a Duke 2 Screenplay when I was younger. Thanks for this! Very excellent article. I was always there as a fan of Apogee, from Duke 1 till the end. While all my friends first side scroller memories are Mario and Sonic, mine are Duke Nukem, Bio Menace, and Monster Bash! But seriously, that is one of the best articles I have read in a long, long time. I truly envy your personal history with Apogee. That is something that no one can ever take from you, and something that only a handful of people will ever experience. Here is to wishing it all back again! I had have all 3 episodes of the original Duke Nukem game, all 7 episodes of Commander Keen, and all 3 episodes of Cosmo’s Cosmic Adventures. I’ve also got the shareware episode-1 for many other Apogee/3dRealms games, including Crystal Caves, Secret Agent, Arctic Adventure, Pharaoh’s Tomb, Duke Nukem II, and Monuments of Mars. 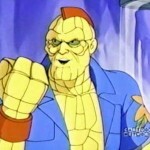 Where did they get Dr. Goldfire’s laugh and “You’ll never get me!” line? They sound like they were recorded from the Zygonaut in the TI-99/4A game “Moon Mine”. Hey Gregg. I asked one of the original Blake Stone devs (Jim Row), and he had this to say about it..
No.. It was either my voice or Jerry Jones’s voice. We used a few different DOS audio recording tools of the day and recorded with a Sound Blaster Pro and digitally edited. It was funny doing the recordings in our office as the walls were so thin… We figured someone would call the cops from the screaming noises we were making. There should have been a camera rolling to catch the outtakes.. it was pretty damn funny.